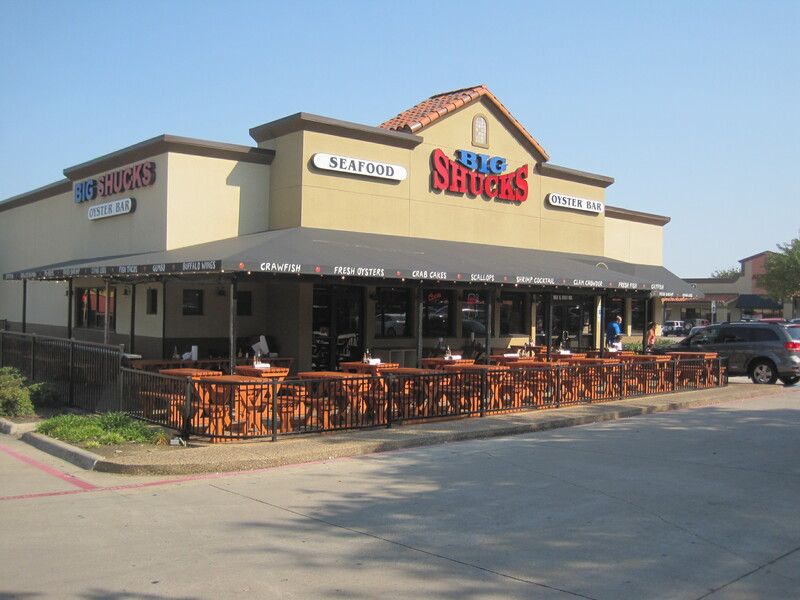 In Richardson, a suburb of Dallas, Texas, they have a seafood spot called Big Shucks. This isn’t a place to eat and watch football, unless your game is fútbol. 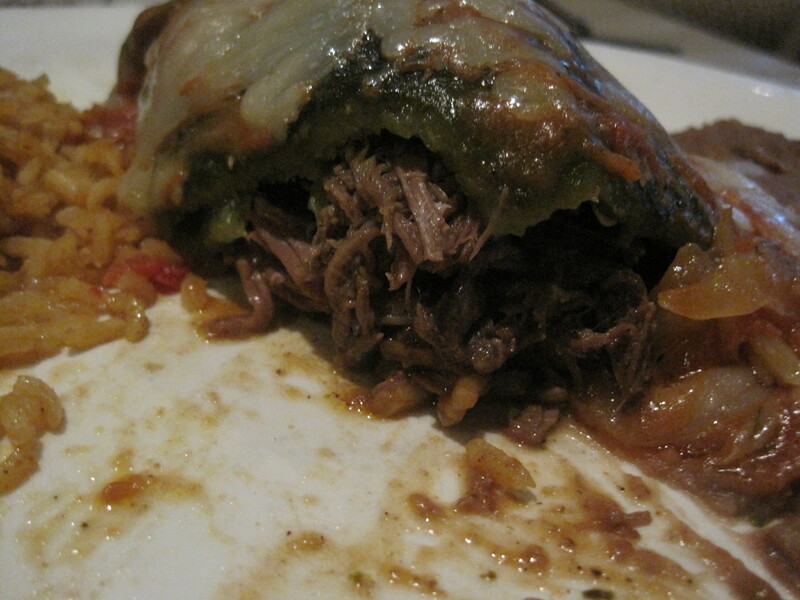 But it does offer some Latin influenced dishes. 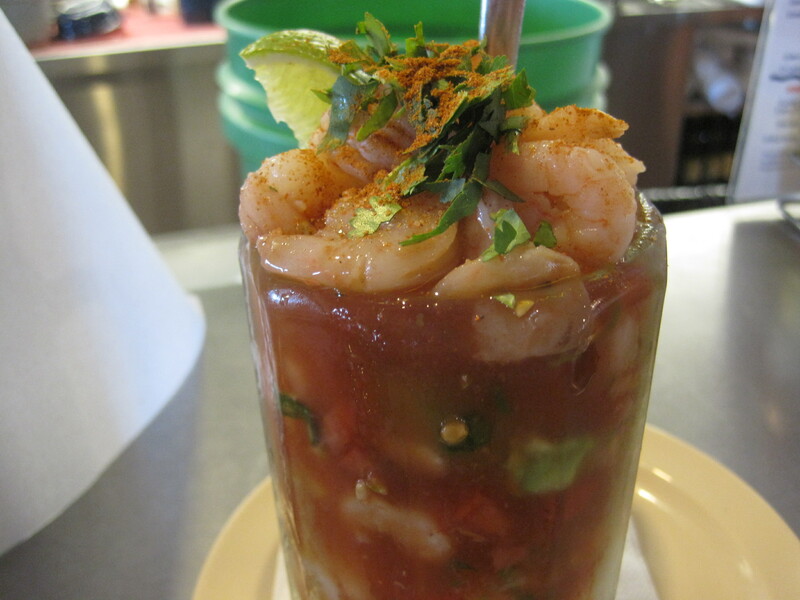 This shrimp cocktail, rich in cilantro and tasting more like a juiced up salsa, is one of them. Going to this place was like stepping into my past. 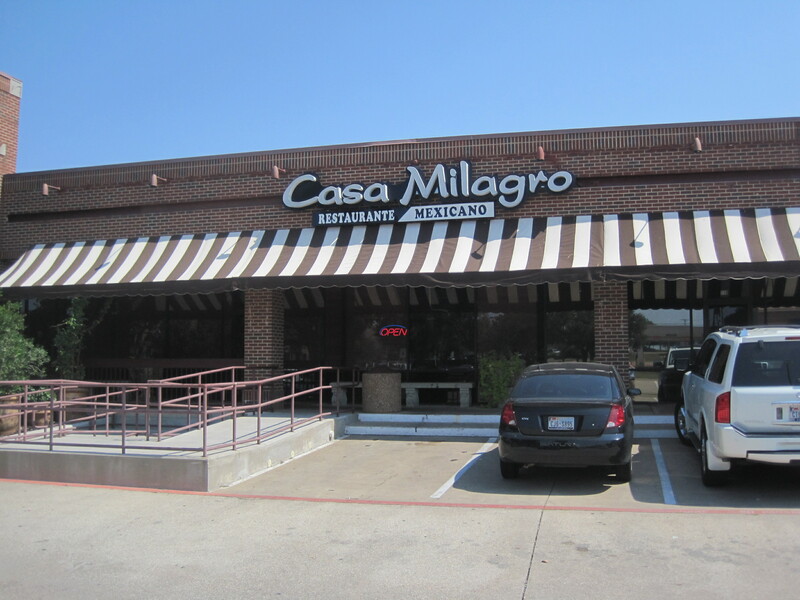 I recall a time when I was in grad school in Houston, in the 1980s, where, if someone really wanted to treat you, they would take you to this chain. 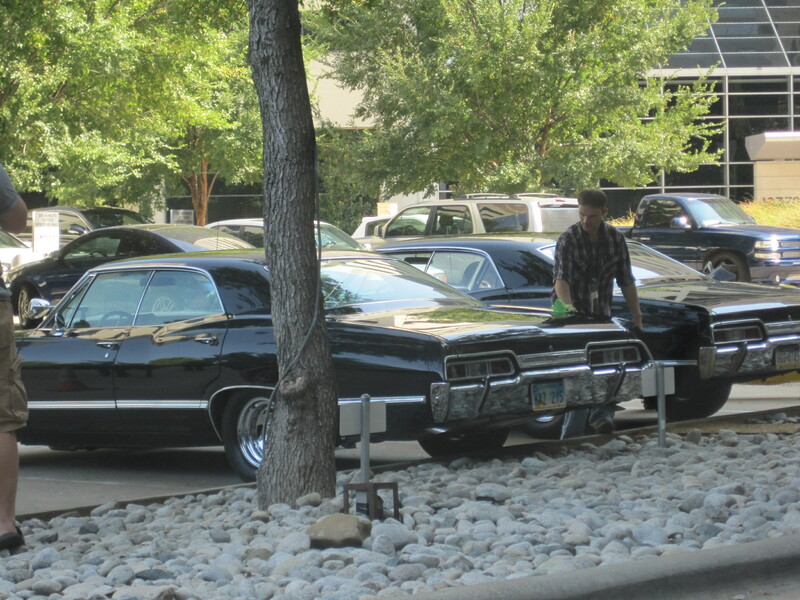 The one we knew of was in the River Oaks district, near a Chili’s and not that far from the River Oaks theater. It was fantastic. 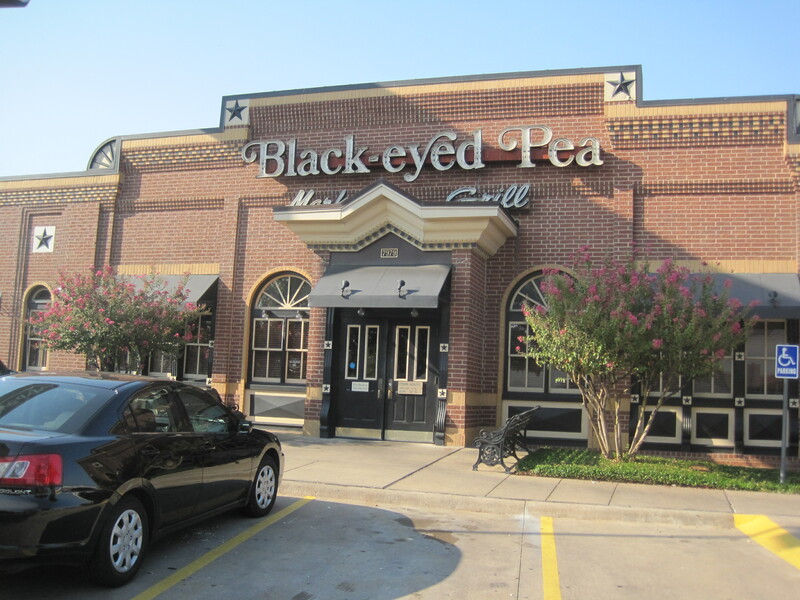 And when we moved later to Orlando FL, the local Black Eyed Pea was one of the hardest restaurants to get into. Move forward some years and in Atlanta, Black Eyed Peas weren’t all that good. Service was terrible. Food might be good, but who could tolerate the lousy waiters of the time? 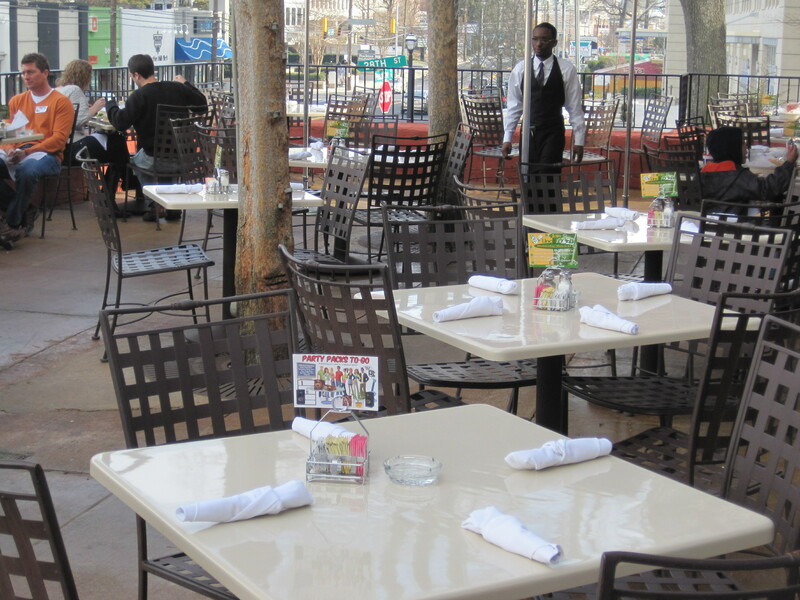 It wasn’t too long before all of these in the ATL were converted to Folks restaurants. 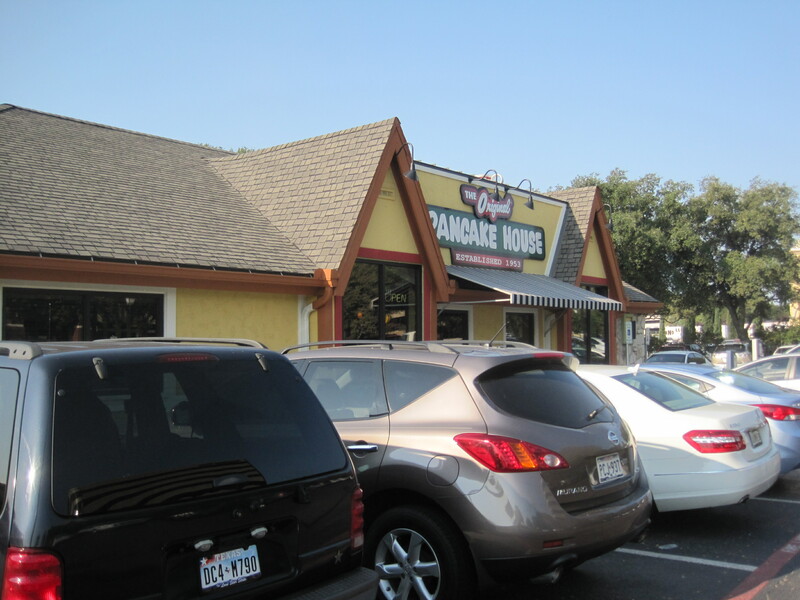 Evidently there was a bankruptcy in the chain at one point, and staff at this Black Eyed Pea said that there had been some staff loss to Denny’s, that the improvements in the Denny’s you guys have seen came at the expense of BEP. Hey, I can’t confirm it, but merely can report it. Chicken fried chicken was excellent. Good green beans. 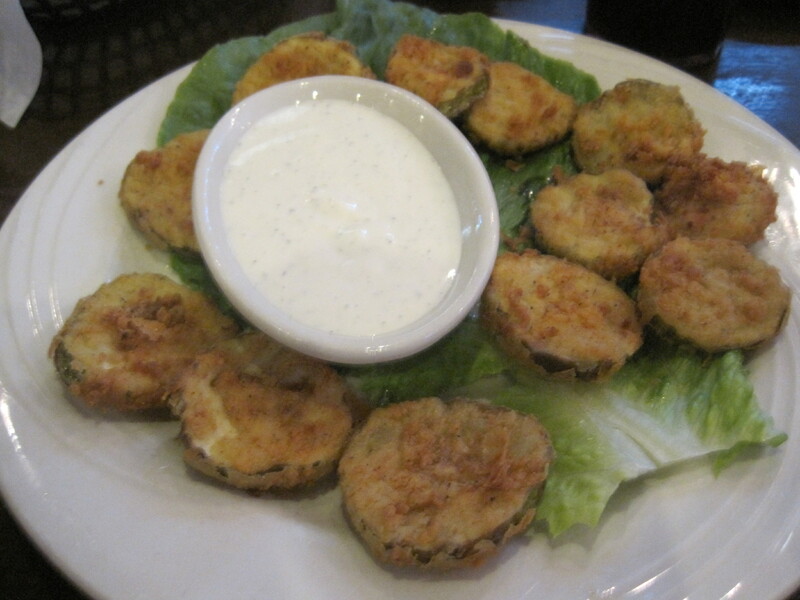 Fried okra weren’t crisp at all. So, was it as good as we rememberd? Well, entrees, yes. 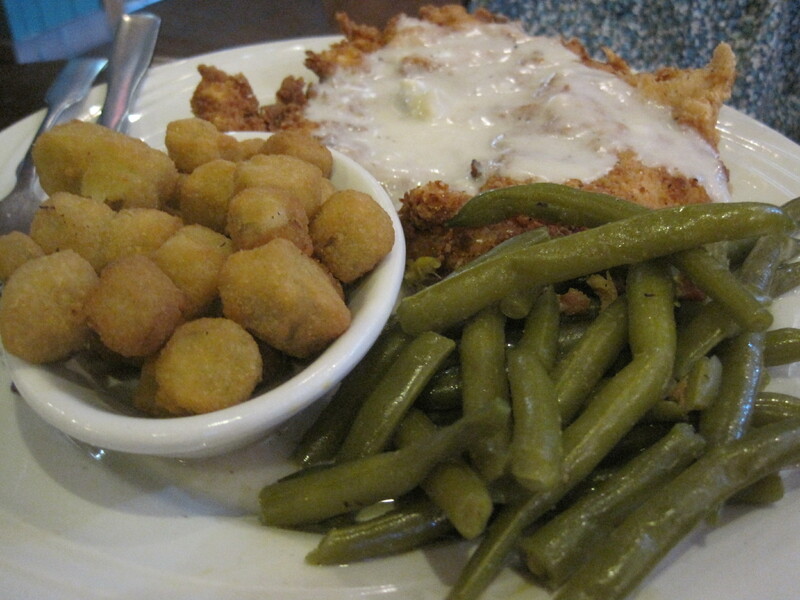 Sides ranged from very good to a very ordinary serving of fried okra. Service was excellent, and the chicken fried chicken my wife got was transporting. Maybe this chain will grow again. We’ll see. 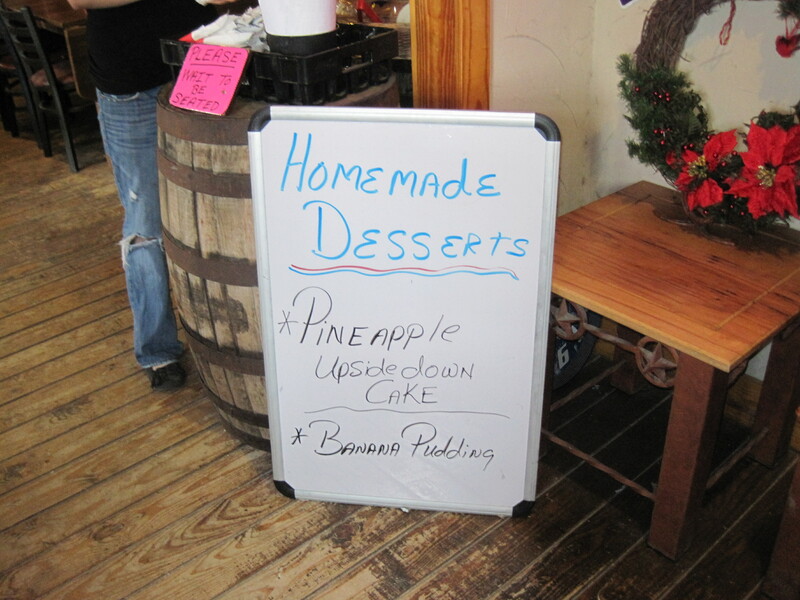 These are two restaurants with a common name, largely compatible menu, and yet in many ways, these restaurants are markedly different. 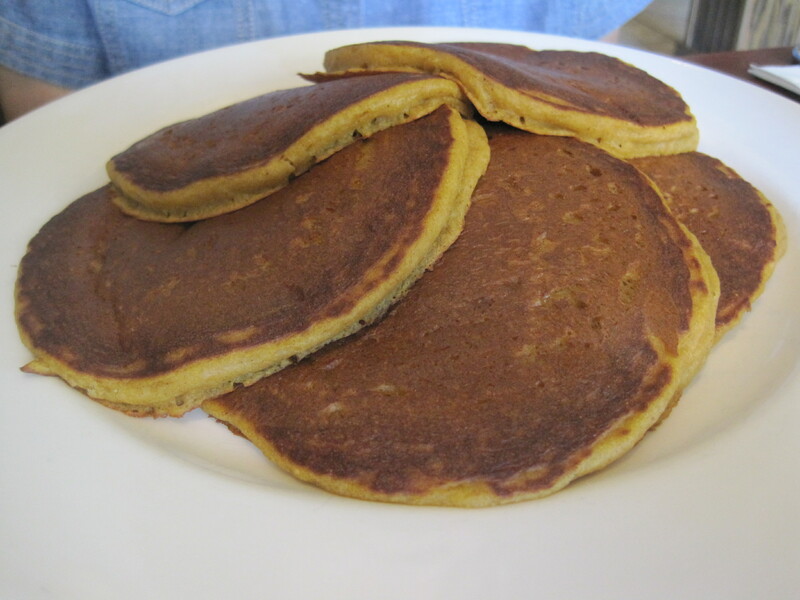 The Addison Original Pancake House is in a large modern building on the edge of a divided highway and when we went, it was packed. We had a thirty minute wait, in overstuffed chairs and sofas. This eatery were used to their crowds. 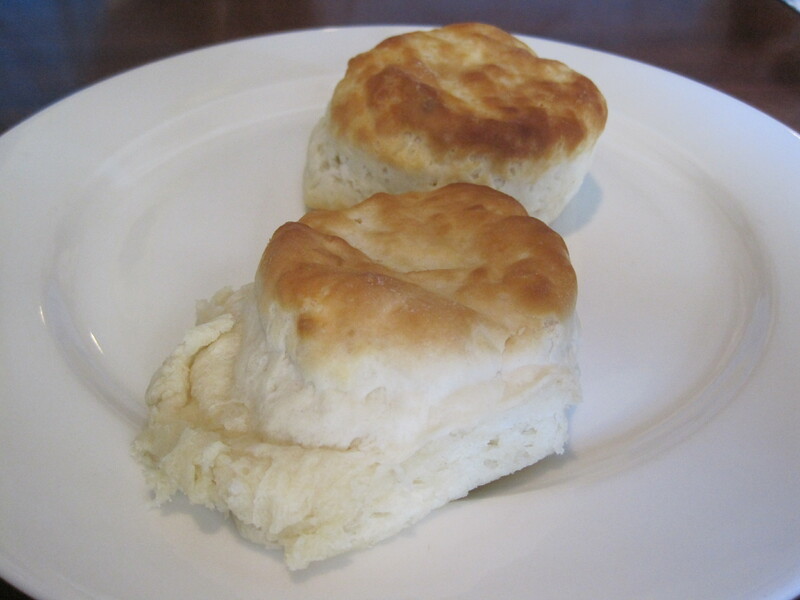 Once seated, we were offered a choice of rolls and they were good ones. The kitchen area was well separated from the dining areas. There was plenty of staff, and the feeling of substance, abundance, luxury was ever present. 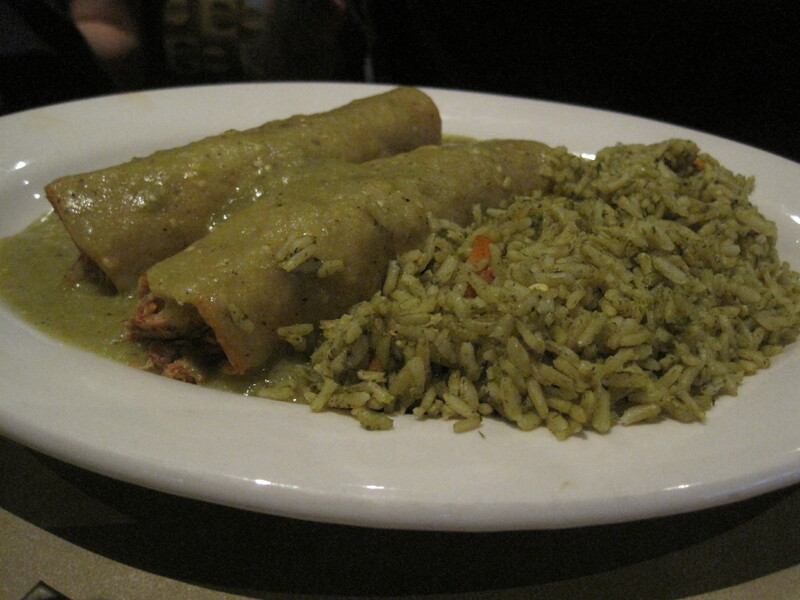 Rolls are served in Addison. 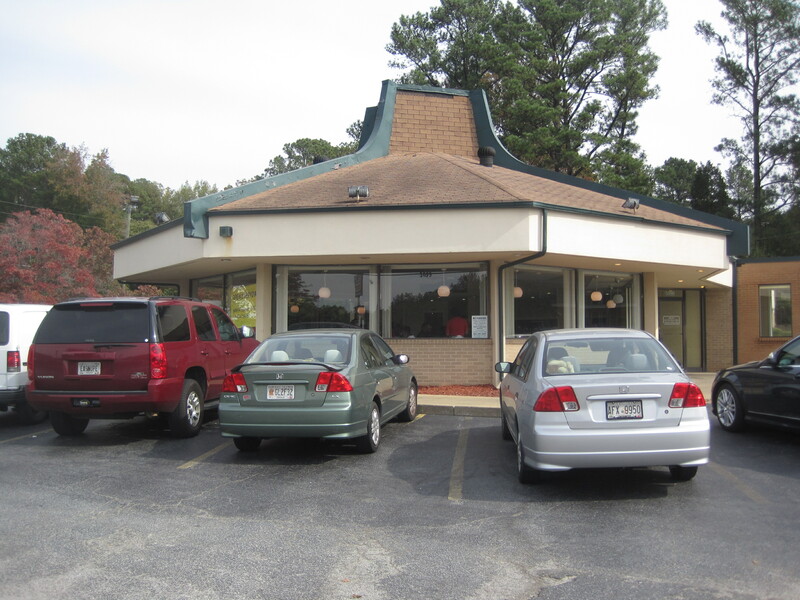 The Stone Mountain Original Pancake House is in a modest round building that reminds me of the “mushroom cap” buildings that many older Mellow Mushrooms are found in. There is limited seating, due to the size of the building, and no waiting area. There was a modest staff. 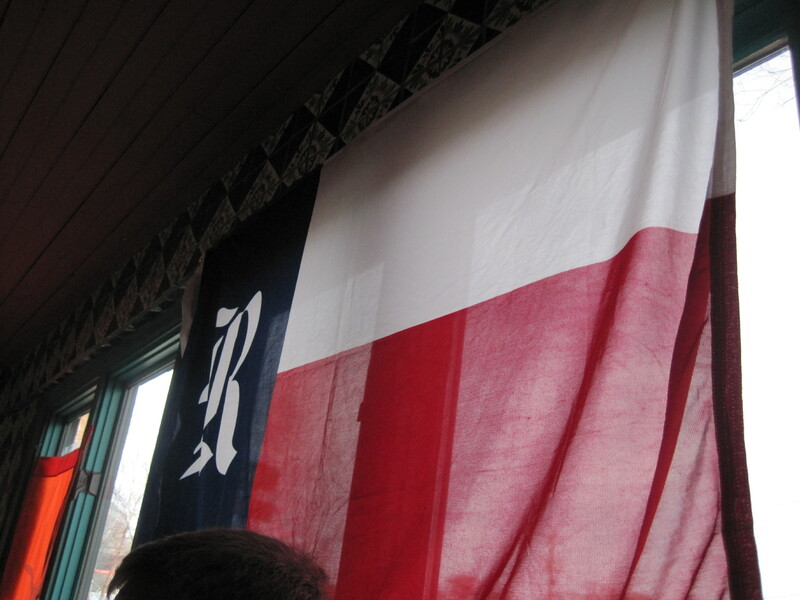 The menus were much lighter weight than the Texas menus. No rolls were offered when we sat. If we wanted, we could see some of the goings on in the kitchen. The feel, if I had to compare it, was closer to that of a Waffle House than the Addison restaurant. 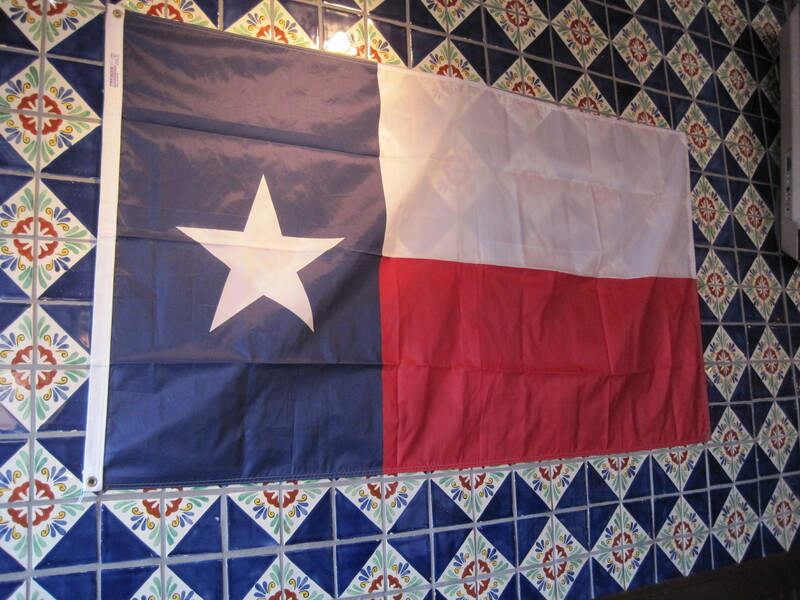 The menus are different not only in look and feel, but also the Texas restaurant has additions that suit the Texas breakfast eater. 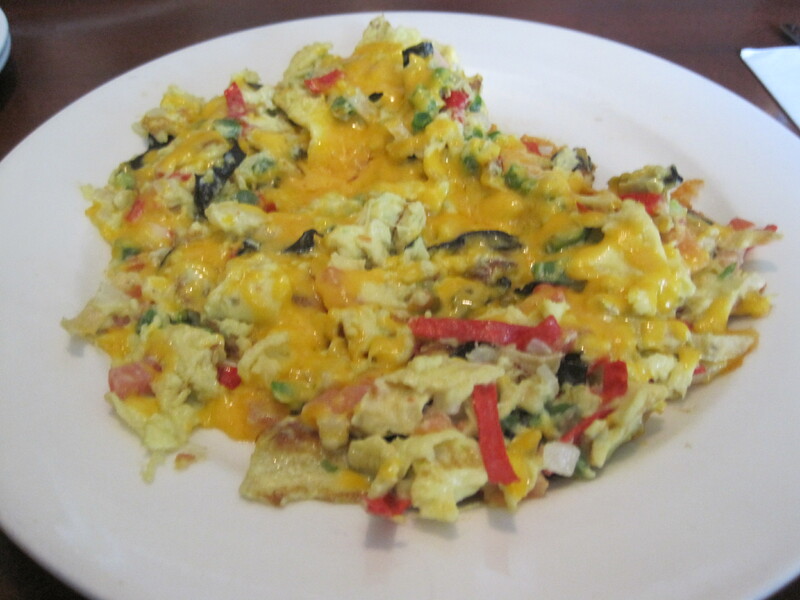 For example, there are migas in Texas, a selection not found in Georgia. 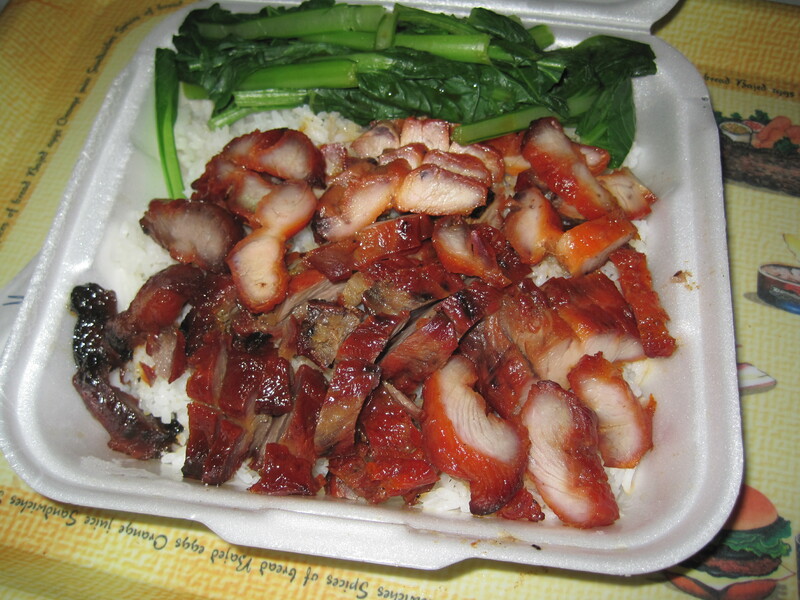 That said, the food delivered to the table in both eateries was of high quality. Migas. Usually you wrap these in tortillas. 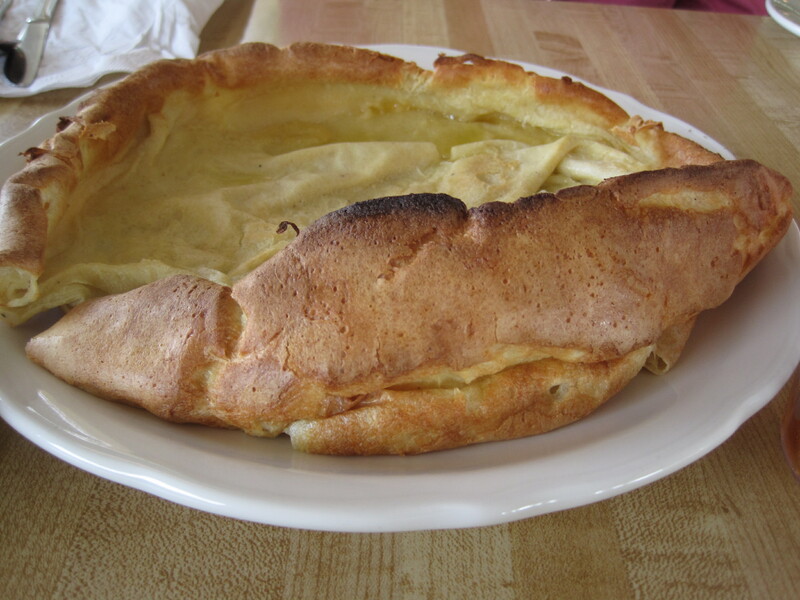 Dutch baby, no dusting of sugar. My wife was curious about this. 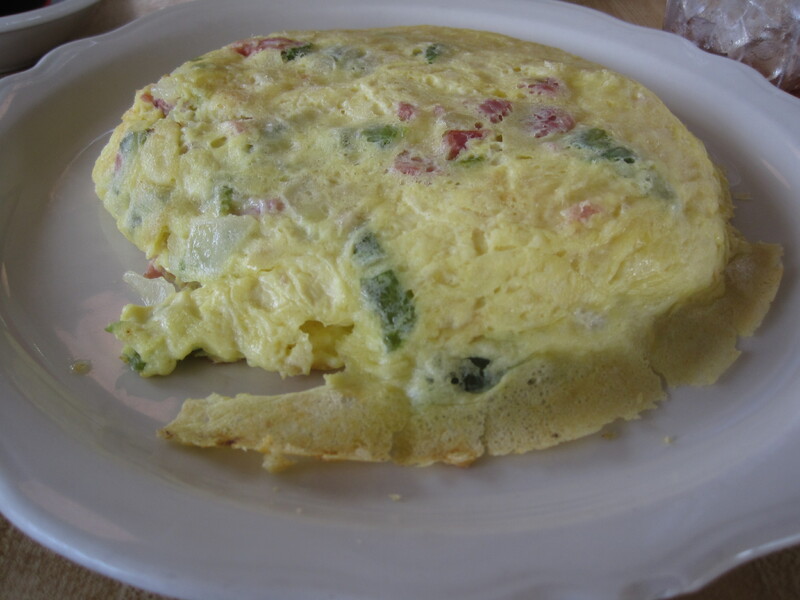 Western omelette. Good and enormous. 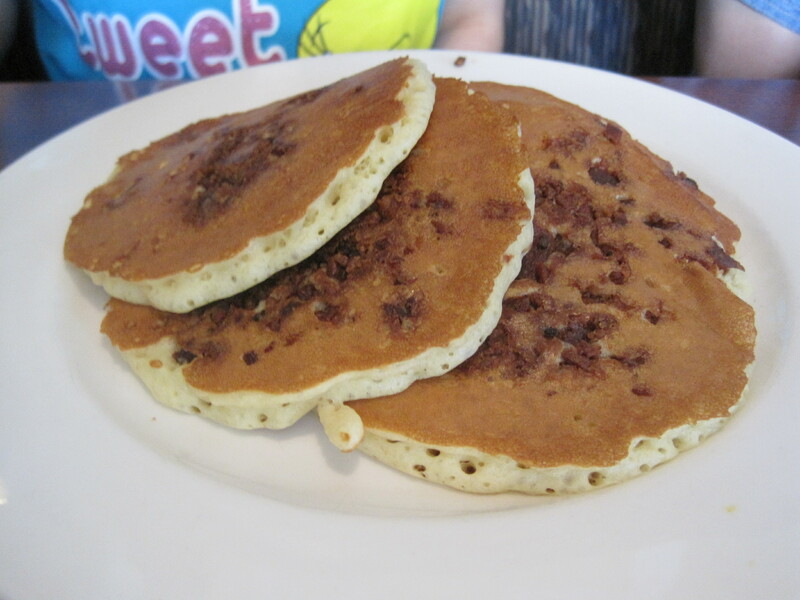 Like the hash, came with a side of pancakes. 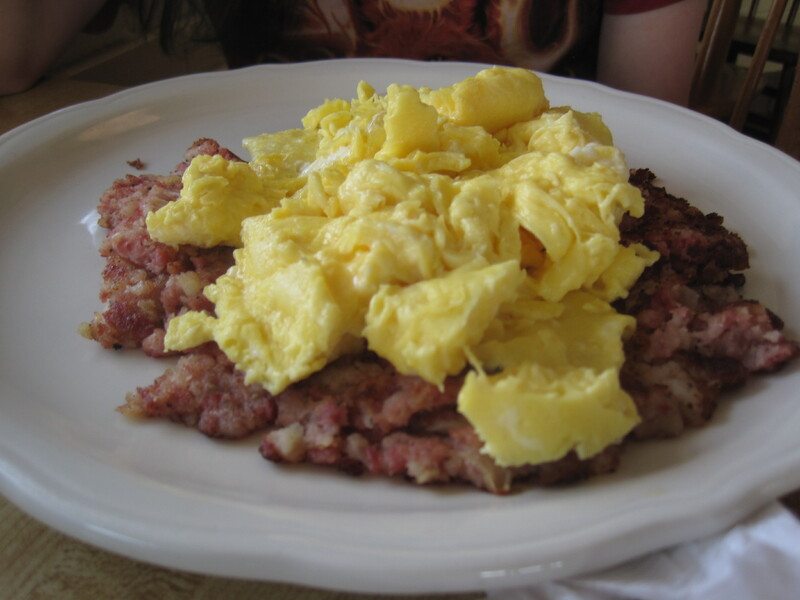 We had pancakes and migas in Texas, pancakes, corned beef hash, a dutch baby, and an omelette in Georgia. Serving sizes were ample. There was more food than we could eat at both locations. Service to the table was excellent in Texas, and quite good in Georgia. 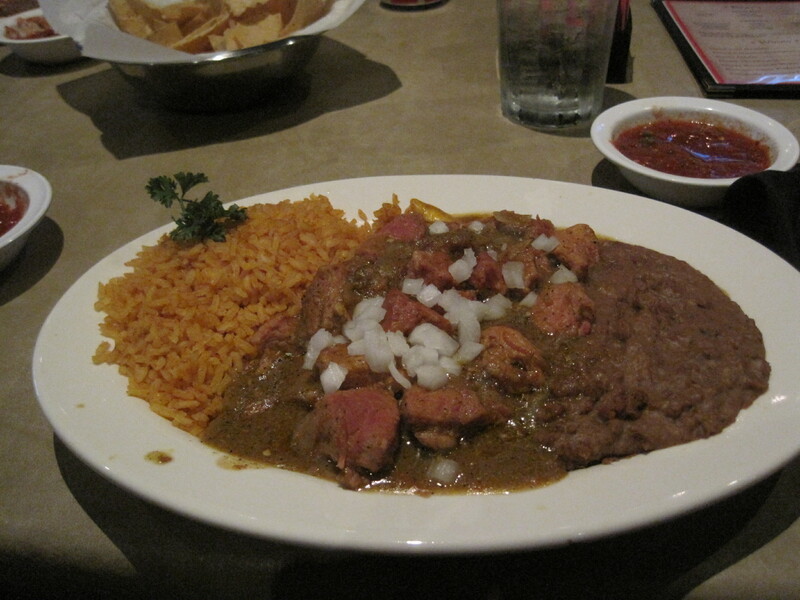 I’ve spoken of Uncle Julio’s before (also here), in a more formal sit down mode. 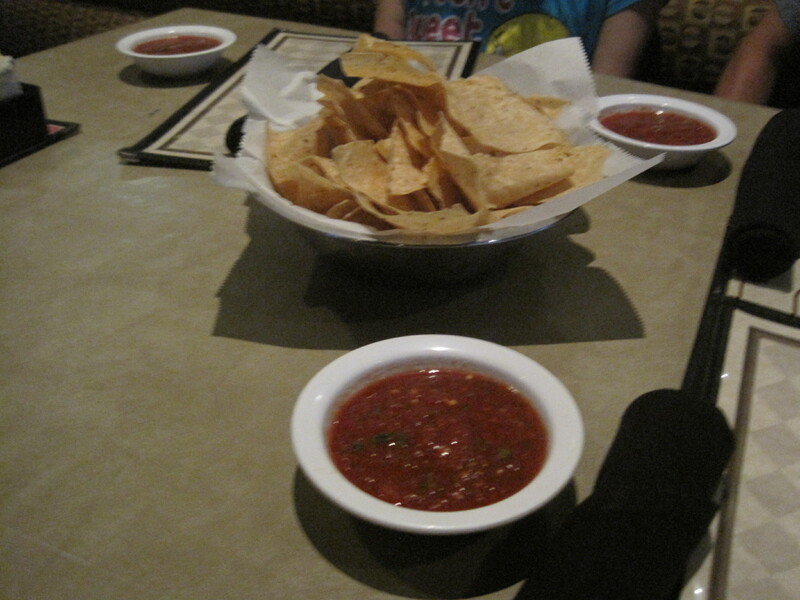 This is more a report of both the restaurant and the bash, and as we were served buffet style, it doesn’t represent what Uncle Julio’s can bring to a diner’s table. 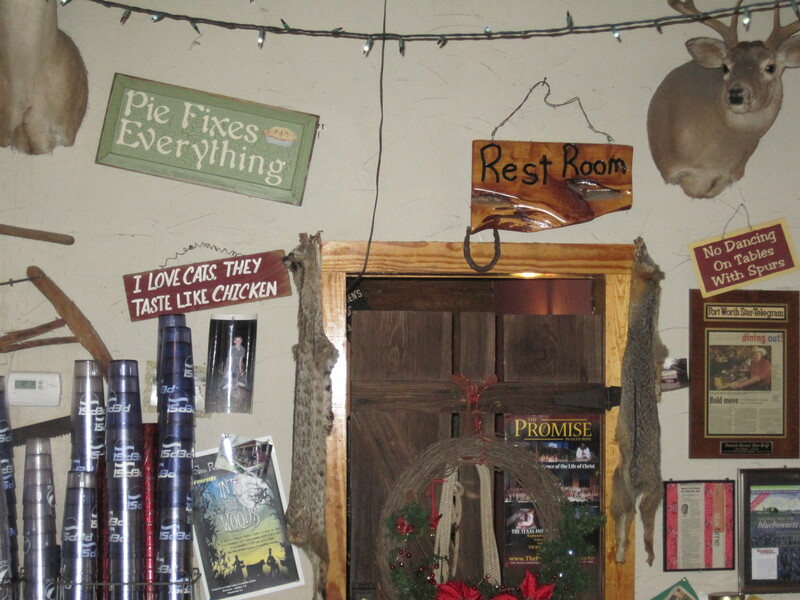 It does say something about how the eatery can handle an event. 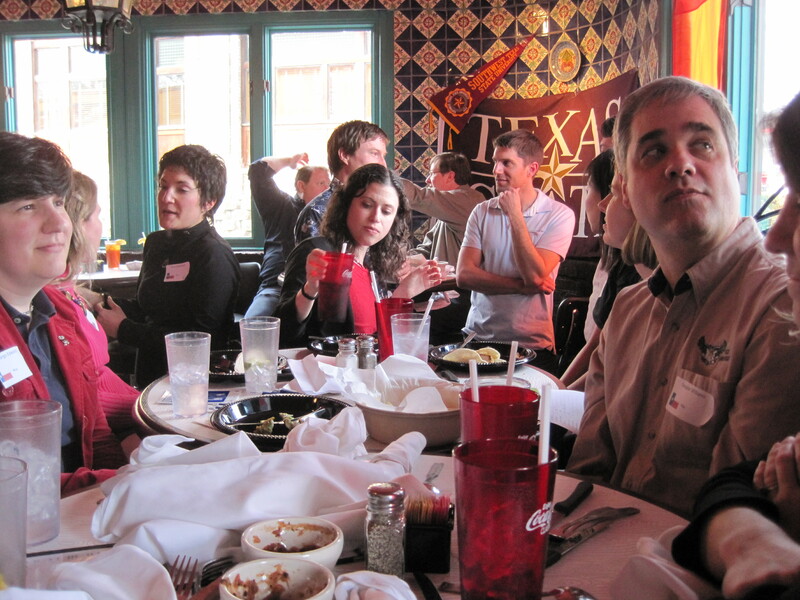 The Texas Independence Day Social is an alumni event that pools the graduates of all the Texas schools in the Atlanta area. 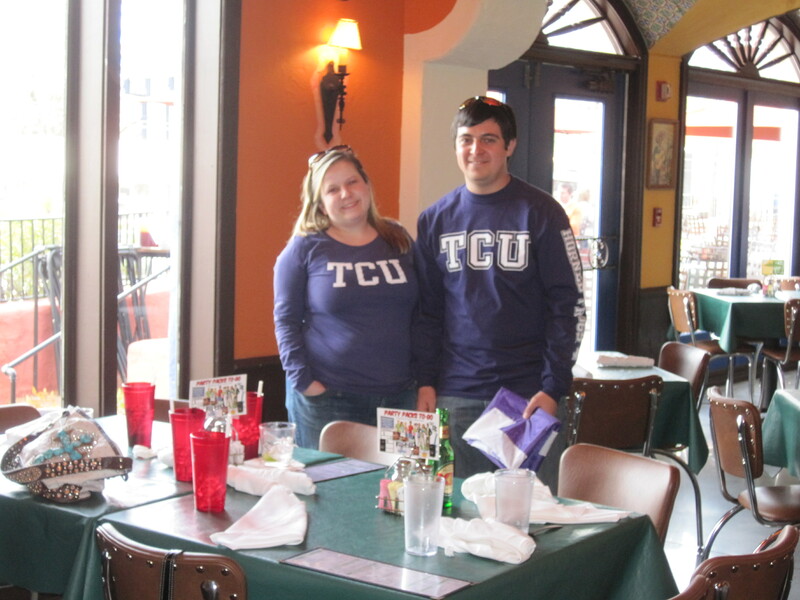 It’s often heavily attended by UT and Rice alumni, and schools like SMU, TCU, Texas State, Houston were there. I didn’t see any Aggies but I can get my A&M fix from my father. 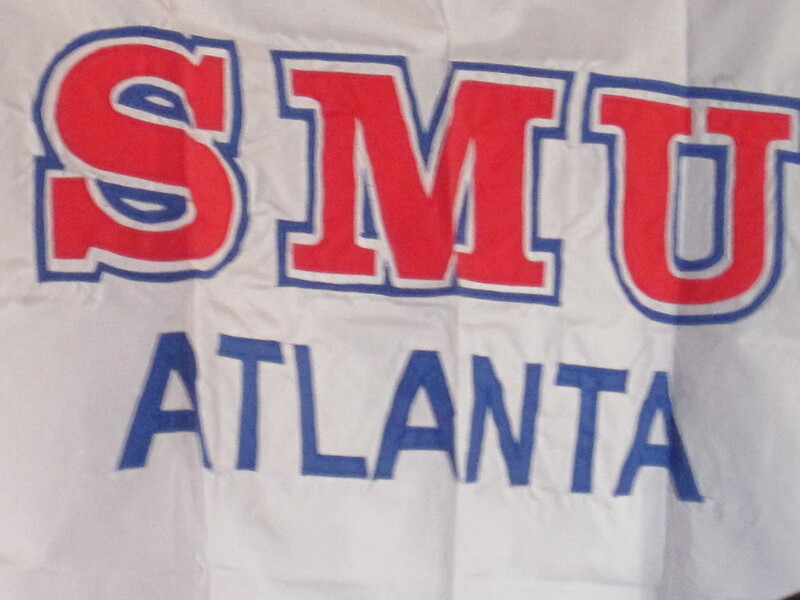 To be plain, I was focused on my own school, largely. 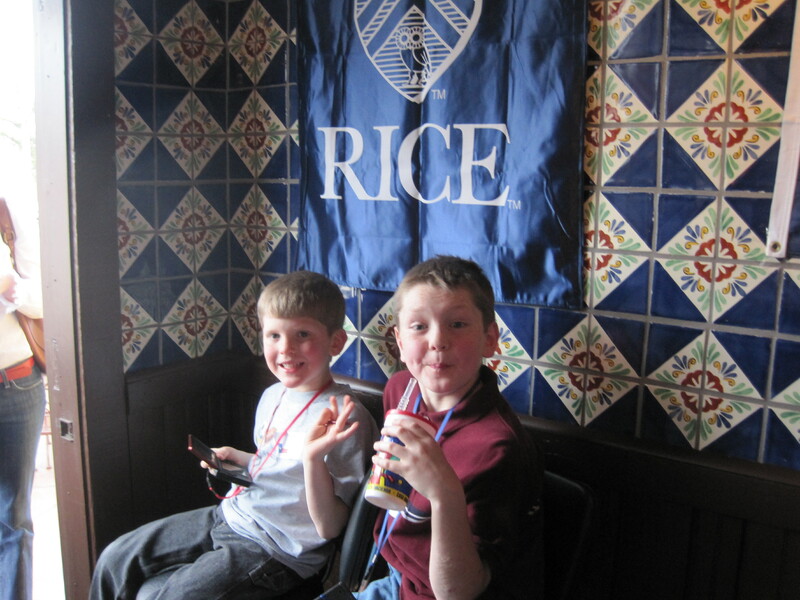 The Rice alumni, being a clever lot, managed to score a set of tables right by the buffet line. 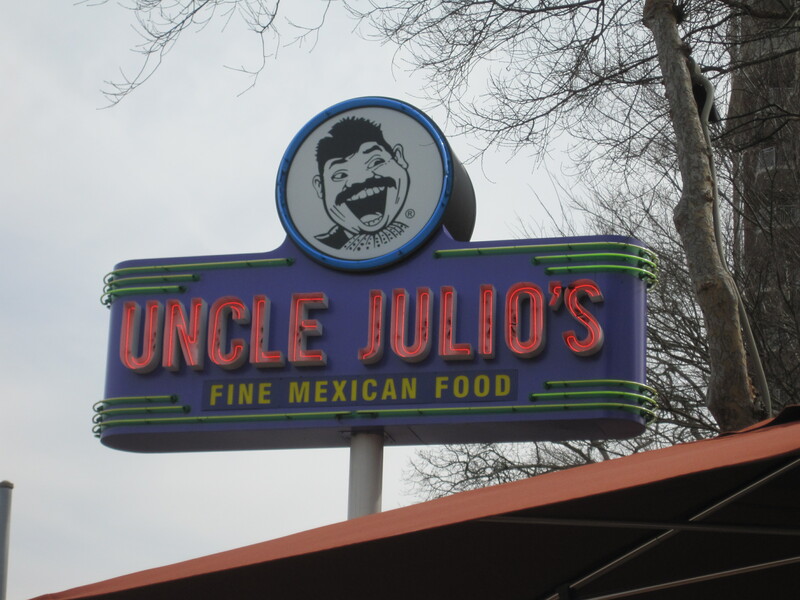 This Uncle Julio’s is a lot more spread out than the one on Peachtree Dunwoody. The Sandy Spring location is largely vertical. This one sprawls like a ranch style building. 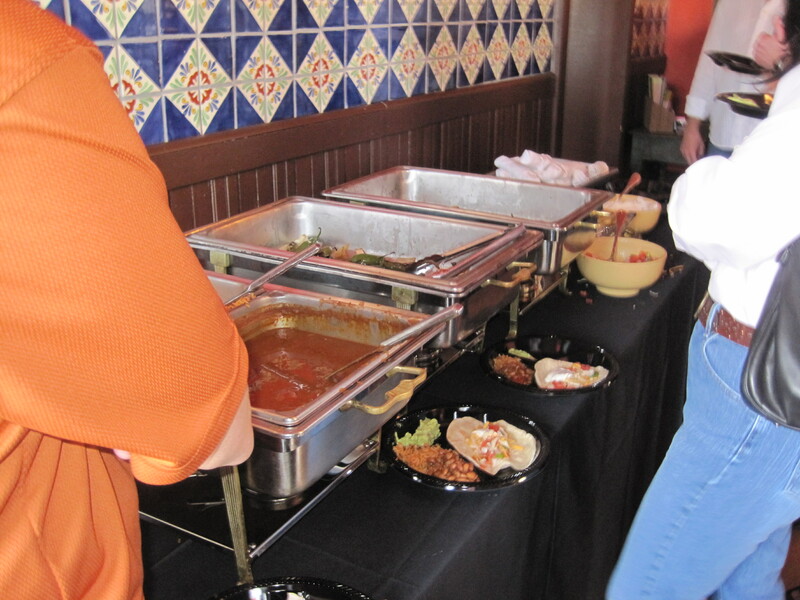 By the time I made it, the buffet line was pretty long and when we got to the fajitas, all the beef was gone. They were stocking up on chicken. 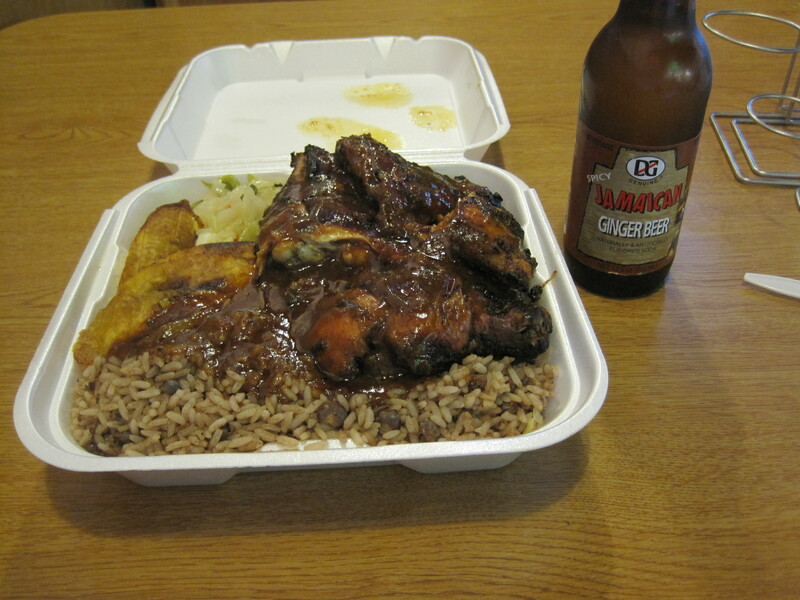 The chicken they supplied was moist and grilled at the same time, and delicious. 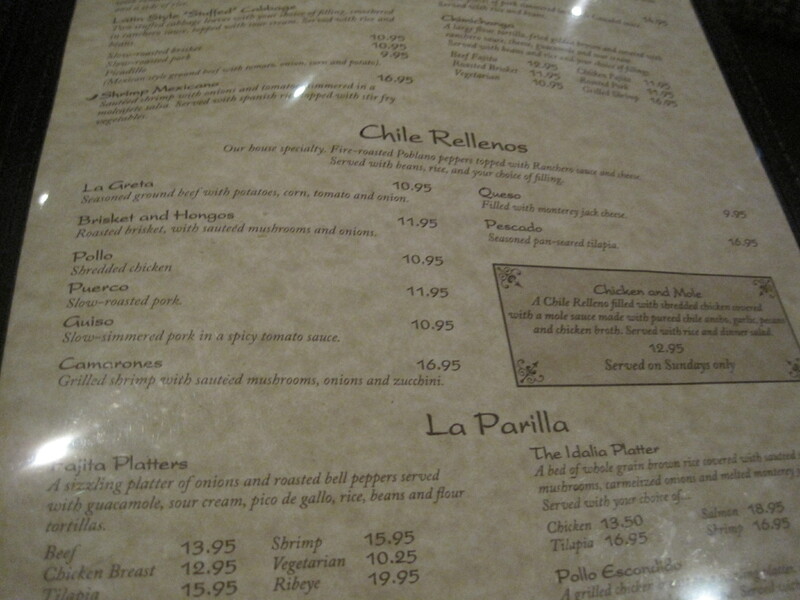 The roasted Jalapenos and roasted vegetables in general were very good. Service, given the crowd and the noise, was actually quite decent. 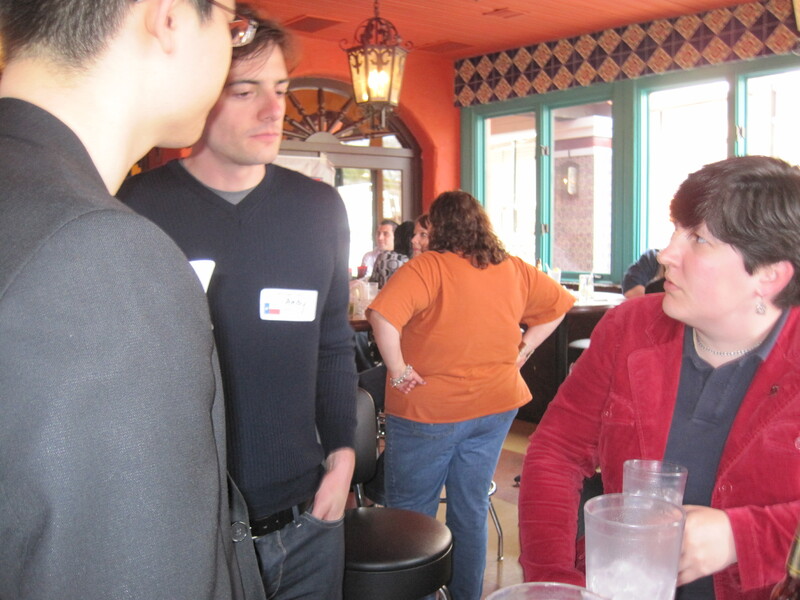 Waitstaff made routine stops to fill drink orders and top drinks off. Most people seemed to enjoy the meeting. 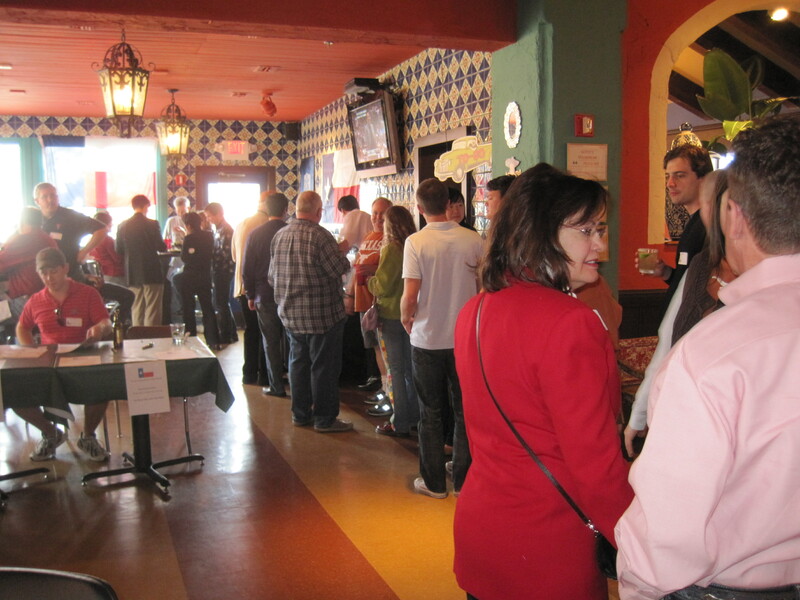 Just the chance to air your stories in a sympathetic crowd made for a superb afternoon. 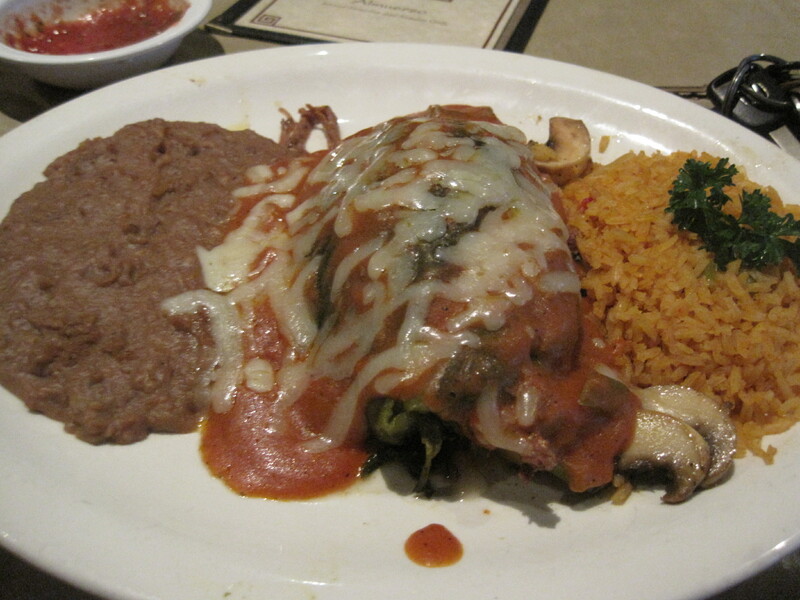 Verdict: Not only capable of sit down, Uncle Julio’s can handle a bunch of cowboys with ease. Highly Recommended. 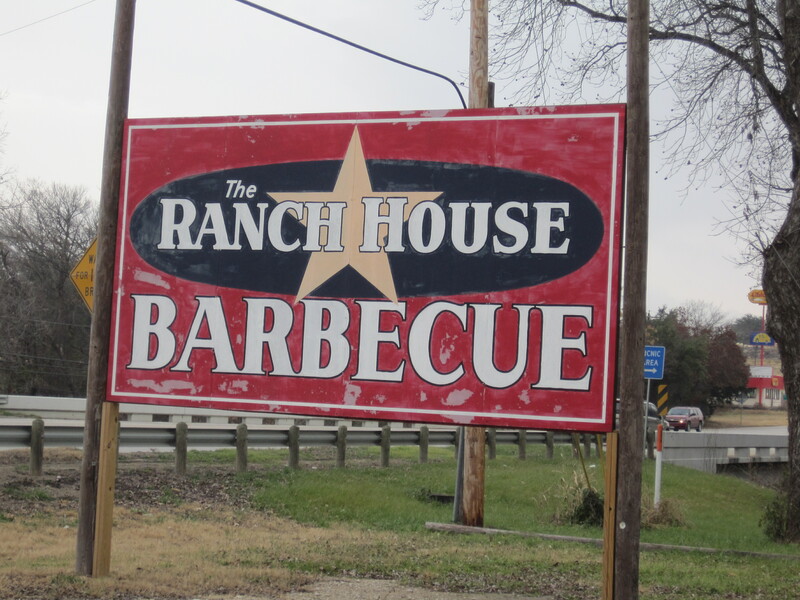 The Ranch House isn’t the best known barbecue restaurant in Glen Rose Texas, but the time we arrived in this small town it was one of the few still open. 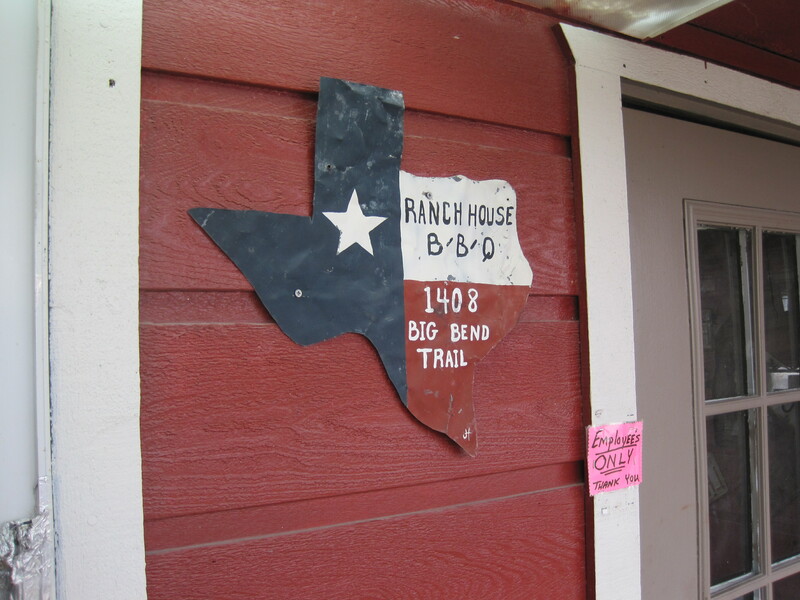 It’s a brown building on the side of Big Bend Trail (Highway 67) and has a huge sign to welcome you to the premises. 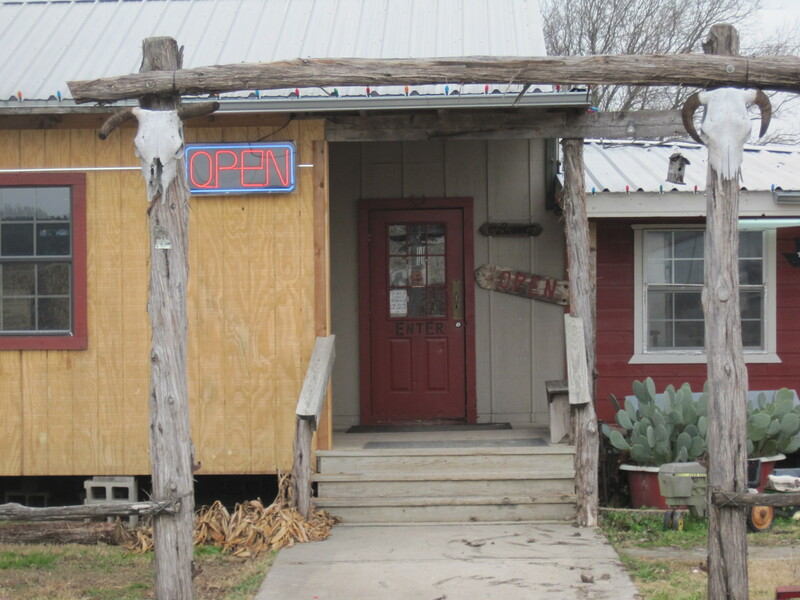 Inside there are plenty of picnic style tables, funny T-shirts and posters on the walls, longhorn and deer heads, and above the cash register are various paper currencies all taped to the roof. The day we showed they had a $10 special, ribs with 2 sides. That sounded good and almost all of us got the special. Soda glasses were Texas sized. 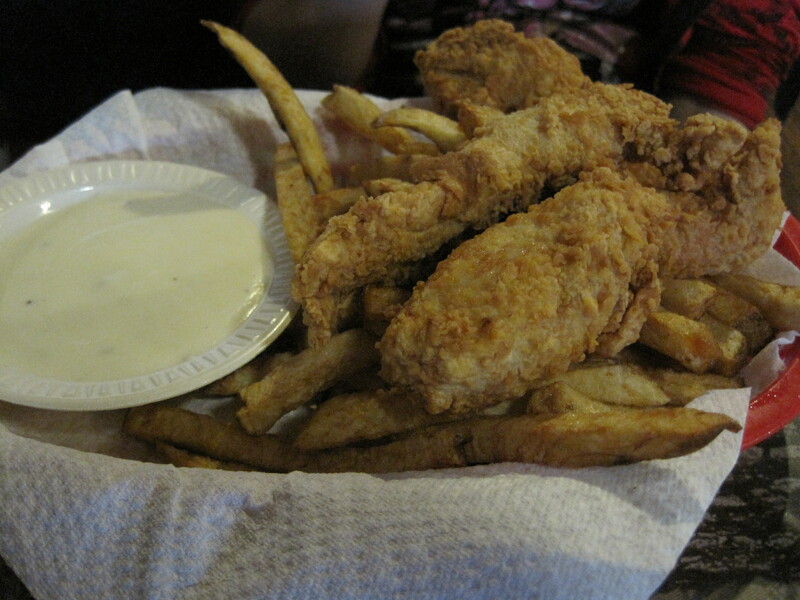 My daughter got chicken fingers, which were moist and tender and also plenty large. 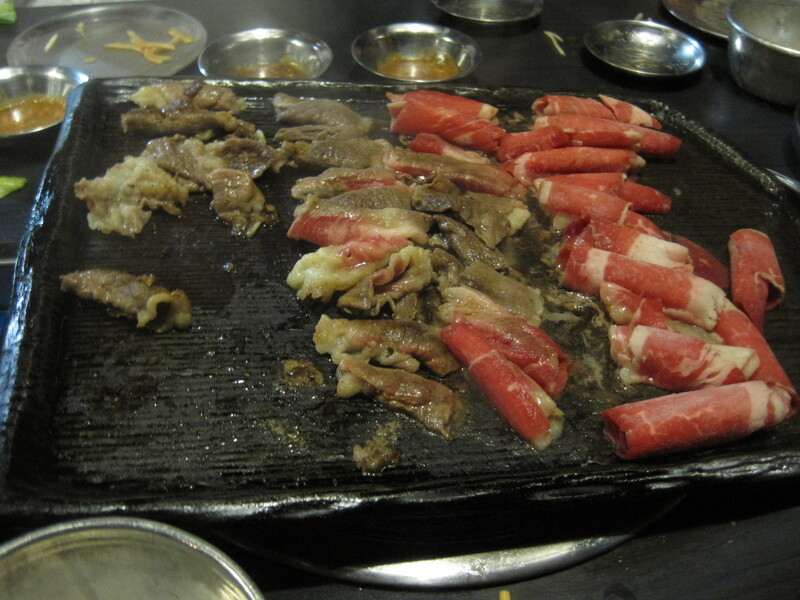 Given the size of the ribs, they were almost certainly pork ribs. You could smell the smoke in the ribs before you could ever taste them. The smoked taste was there and the smoke ring easy enough to find. There was a smoke smell on our fingers an hour after we ate there. My brother said they were the best ribs he’s had in years. 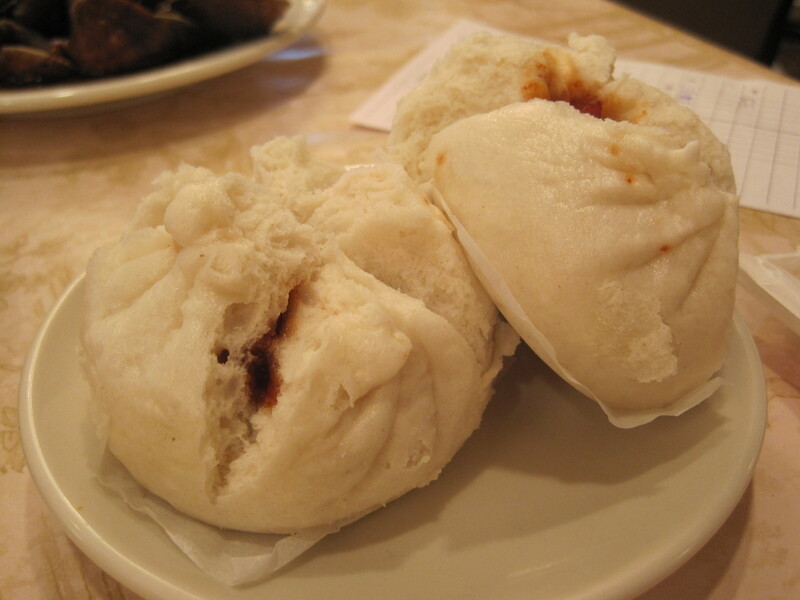 Then again, they don’t cook ’em in Shanghai like they do in Glen Rose. In my opinion these were first class ribs, would be no matter where they were made. 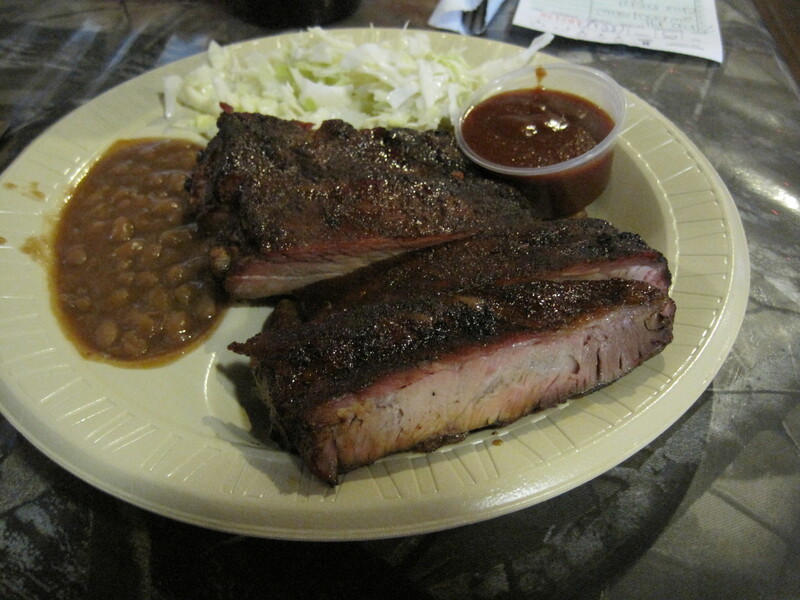 The beans were good and the cole slaw was okay, but ribs this good would be worth going back for. Service was very good. I never felt neglected in this eatery. 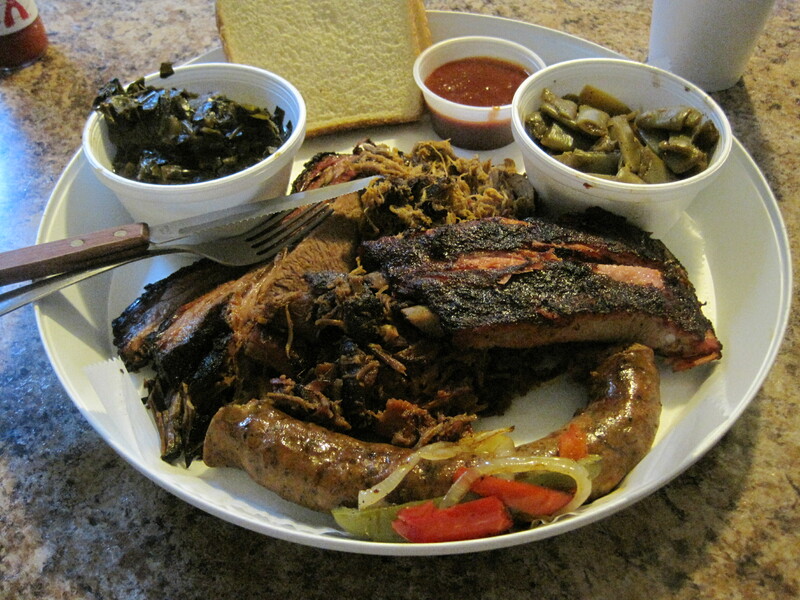 Verdict: Great ribs, good sides. Highly recommended.